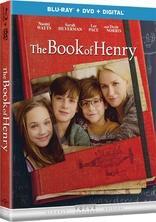 Special Features: Filming The Book of Henry – Filmmakers and cast discuss the long process of getting this passion project to the big screen. The Book of Henry: The Cast – Hear the cast talk about what drew them to their roles. Filmmakers also weigh in on what each cast member brought to their part, and why they were the perfect ensemble. Can a single movie actually be a few completely different movies all at once? Well, if Colin Trevorrow's The Book of Henry is any indication, then the answer is… no. At least, not successfully. What starts out as a slightly above-average Hollywood take on Hallmark Family sensibilities, abruptly becomes something else entirely during its third act. And I think I'm still recovering from the whiplash. 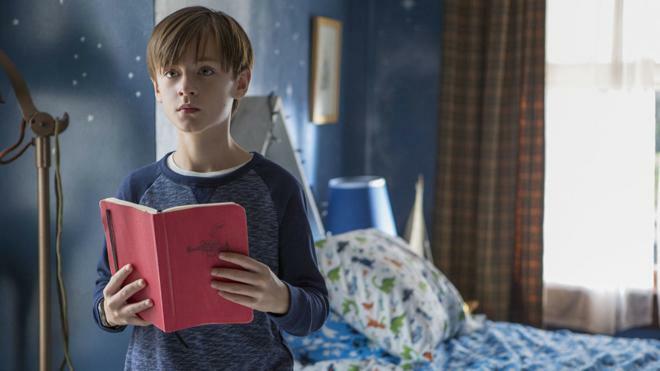 At first, the story follows Henry (Jaeden Lieberher), an 11-year old genius who likes to create inventions while he handles the bills for his well-meaning but financially clueless single mother (Naomi Watts). But as Henry begins to suspect that his neighbor and classmate, Christina (Maddie Ziegler), is being abused by her step-dad (Dean Norris), he starts to put a plan in motion to help her. And that's when things get batshit crazy. 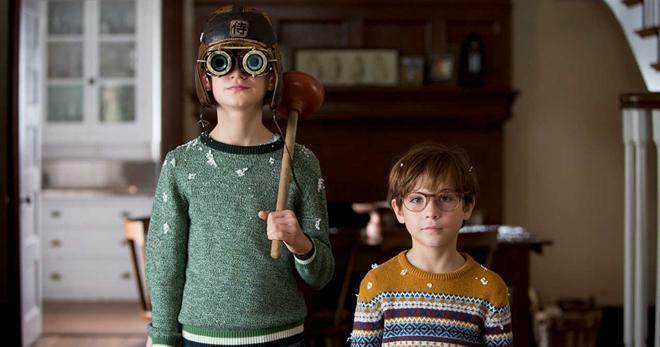 For most of the runtime, the movie presents itself as a fairly innocuous yet mostly competent attempt at filmmaking, focusing on Henry's quirky creations, his unconventional role-reversal with his videogame playing mom, and his sweet relationship with his requisite adorable little brother (Jacob Tremblay). In this regard, the flick is decent but utterly forgettable. Without giving too much away, however, the movie ultimately throws a pretty big curveball our way, initially making it hard to see how the story could possibly continue. But even with that said, nothing could have prepared me for where the filmmakers go next. On the one hand, the swing in genre that follows is almost admirable in its disregard for the so-called rules of Hollywood scripting, and this level of daring creativity and risk-taking is pretty rare nowadays. Sadly, though, the gamble just doesn't pay off. As Trevorrow and writer Gregg Hurwitz attempt to balance an almost inexplicably out of place and bizarrely dark plot twist with a faintly absurd sense of humor and all of the otherwise saccharine storytelling that came before, the movie just collapses under complete and utter tonal confusion. That's not to say that there isn't some interesting work to be found in the third act. In fact, as strangely inappropriate and tone deaf as the climax becomes, it's still a lot more unique and memorable than the conventionally quirky family friendly affair that the movie starts out as. It's even possible that some version of this plot could have worked on screen, but it would have required a different approach from the get-go. As it stands, the first two acts just can't get us there. The Book of Henry is one of the most bizarrely miscalculated mainstream productions I've ever seen. Mixing family-friendly quirk with dark shades of abuse and a perplexingly out-of-place descent into attempted murder, the film tries to fuse elements that just don't mix to form what ultimately amounts to a rather simple moral. Still, despite being an unequivocal misfire, there are some worthwhile bits peppered throughout and the movie's misguided attempts at tone and genre mashing have to be seen to be believed. And in that regard, this might actually make for an amusing rental. Just make sure to proceed with caution. Universal presents The Book of Henry on a BD-50 Blu-ray disc housed in a keepcase with cardboard slipcover. A DVD copy and instructions for an UltraViolet/iTunes Digital Copy are included inside. After some skippable trailers, the disc transitions to a standard menu. The packaging indicates that the release is region A coded. Filming The Book of Henry – Filmmakers and cast discuss the long process of getting this passion project to the big screen. The movie is provided with a 1080p/AVC MPEG-4 transfer in the 2.00:1 aspect ratio. Free from any major issues, this is an all-around good image with only some very minor inconsistencies. Shot on film, the source is essentially pristine with only a light layer of grain visible throughout. Overall clarity is strong, offering nice fine details in locations, objects, and clothing, like the finely knitted textures of one character's sweater. Depth is also well-rendered, and one can make out every individual piece of foliage among the Fall setting on screen. Colors are also bright with primaries that look pleasingly bold and lush without becoming oversaturated. Contrast is mostly balanced well, but some scenes look a little dim and blacks can appear to crush slightly or veer toward a blueish tinge in a few shots. It might not be demo material, but considering the modest setting, The Book of Henry looks very nice on Blu-ray. The film is presented with an English DTS-HD MA 5.1 track, along with optional English SDH, French, and German subtitles. Dialogue is clean and easy to hear throughout with no balance issues. Though surround use is subtle, the track offers an effective layer of ambience, extending the audio around the room when called for, gently spreading schoolyard atmosphere and nature sounds to the left, right, and rears. Sprinklers, birds, revving engines, and applause, are all particularly noteworthy, and the track carries smooth imaging and solid directionality. Though not an LFE heavy title, bass does kick in during key sequences (like when Henry has one of his bad headaches) or during specific music cues. While the film's storytelling might be distressingly manic, the audio mix here is quite consistent, offering a welcomed sense of delicate immersion. Filming the Book of Henry (HD, 9 min) – Presented in 1080p with Dolby Digital 2.0 audio, this is a behind-the-scenes featurette with typical cast & crew interviews and on set footage. The participants discuss the film's "18 years in the making" script, visuals, and the story's "tonal tightrope walk." Sadly, though the filmmakers seem to be very well aware of the movie's inherent challenges here, they just couldn't pull it off. The Book of Henry: The Cast (HD, 9 min) – The focus shifts to the cast in this featurette presented in 1080p with Dolby Digital 2.0 audio, providing details on the characters and what it was like to work together on set. Colin Trevorrow's The Book of Henry is an almost inexplicably tone deaf attempt at mixing genres and plot points that probably just shouldn't be mixed. Still, there's something admirable about the filmmakers' risk-taking and the strange mishmash that follows has to be seen to be believed. From a technical standpoint, this is a good disc through and through. We don't get too many supplements, but the included featurettes offer a few insights into the director's thought process -- even if he didn't ultimately succeed. Though I can't actually recommend the movie, this might be worth a rental for especially curious film fans.